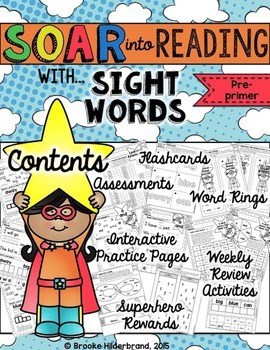 This Soar into Reading: Sight Words Unit is a comprehensive, interactive program that teaches the Preprimer Sight Words. 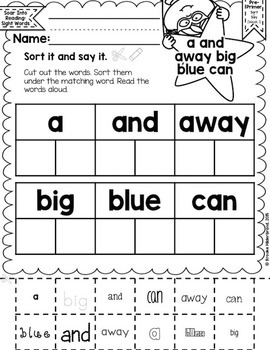 This unit and the materials are organized into teaching weeks for easy teacher preparation and planning. Sample lesson routines are provided, and the activities are fun, hands-on, and engaging for young readers! 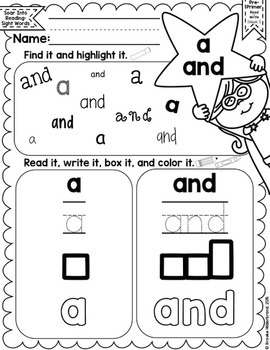 - Read&Write and Trace&Build- Introduce and practice two sight words at a time. 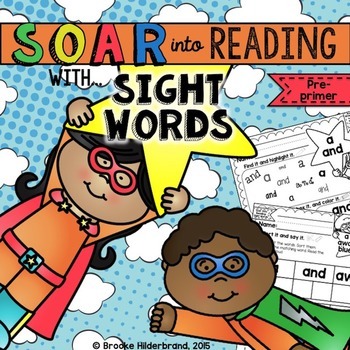 - Roll&Read, Sort&Say, Spin&Say- Review six previously taught sight words with fun and exciting games that can be played independently or with a partner. When students master this word list, they will earn a Superhero Mask and Cuffs featuring this list's words. While teacher preparation is print and go, students will need to have the following materials on hand for the activities: pencils, crayons, scissors, glue, paperclips or spinners, and dice. Click the Green Star next to my store logo to follow my store and be the first to hear about supplements and additions to this Soar into Reading Unit!